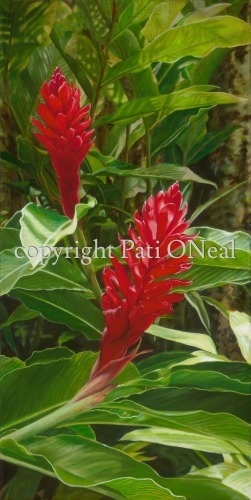 Gorgeous stalks of 'awapuhi 'ula'ula, more commonly known as red ginger, front and center. Original oil on canvas, privately owned. Contact the artist for a similar commission. Limited edition giclées and open edition matted mini-prints are available.